Argus Heating design, manufacture and supply a variety of flanged immersion elements to suit a wide range of applications, including oil/water immersion, bolt-on circulation systems, waste oil pre-heating and waste water processing. 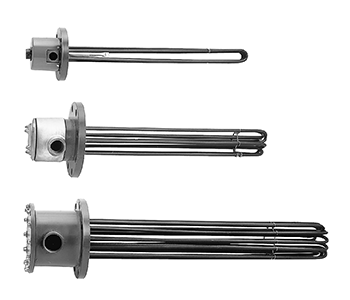 Also known as process heaters, these elements have a wide range of applications. Custom design sizes and wattages available on request. ‍Stainless steel terminal enclosure. Stainless steel element spacers and thermostat tubes. Electrical fitting sockets to suit. Alternative sheath material available in stainless steel, Incoloy and titanium. Alternative flange material available on request. Flanged immersion elements suit a wide range of applications such as oil/water immersion, bolt-on circulation systems, waste oil pre-heating and waste water processing. Find out more about the recommended heating solutions for your specific application. Read more about the solutions we have developed for applications as diverse as probiotic fermentation and office printers. on our products and service. © Copyright 2018. Argus Heating Limited. Specialists in element design and manufacture. All rights reserved. 211 Maces Road, Bromley, Christchurch, New Zealand.